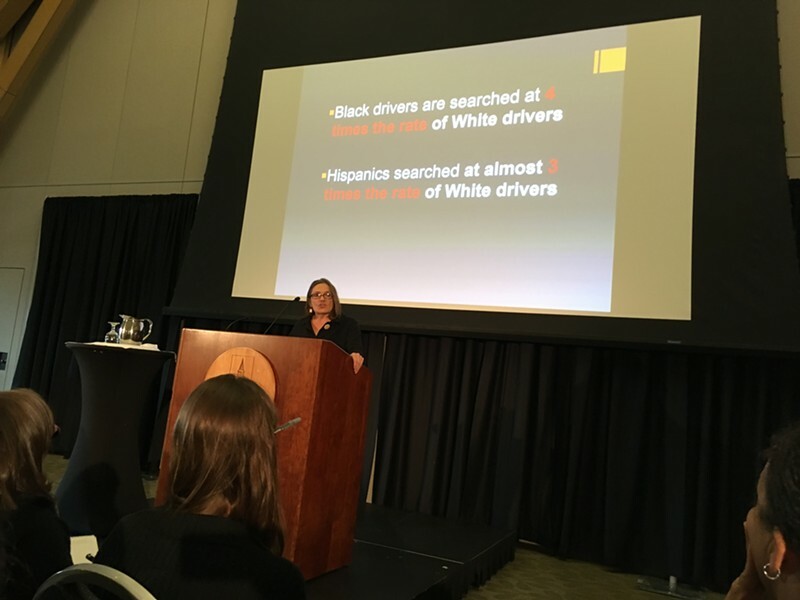 Black drivers are four times more likely than white drivers to be searched by Vermont police, even though they are less likely to be found with illegal items, according to a study released Monday by University of Vermont researchers. The investigation, which examined 2015 data from 29 police agencies covering 78 percent of Vermont’s population, found significant disparities in how often blacks and Hispanics are stopped, searched and arrested, as compared to whites and Asians. Professor Stephanie Seguino said her study, the first to examine statewide police data, provided proof that police officers throughout the state engage in implicit bias against minorities. 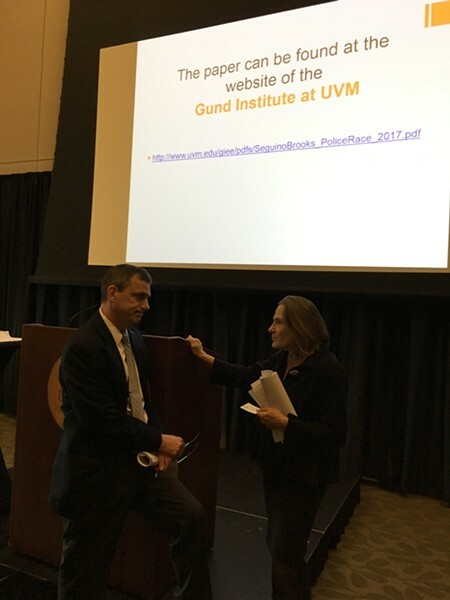 “My sense is a good deal of these disparities is due to implicit bias,” Seguino said. 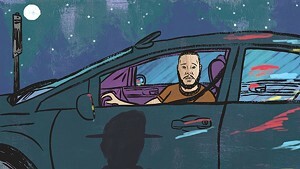 Black drivers were more than six times more likely than white drivers to be searched by Rutland police, more than four times by Vermont State Police, and more than three times by Burlington police, the study concluded. But statewide, only 56 percent of black drivers searched were found with contraband, compared to 67 percent of white drivers searched. Across the state, white and Asian drivers are stopped at rates lower than their share of the population. And black and Hispanic drivers were more likely to be ticketed than white drivers. 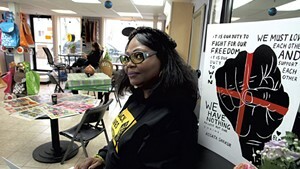 “The data simply prove what black and brown Vermonters have long known from hard experience: that biased policing is real in Vermont and it’s getting worse,” American Civil Liberties Union of Vermont staff attorney Lia Ernst said. Vermont State Police Capt. Ingrid Jonas, the agency’s director of fair and impartial policing and community affairs, disputed the conclusion, and said the data could be skewed. Jonas said that her agency accidentally gave researchers, who were examining discretionary stops, information about both discretionary and non-discretionary stops, which include responses to crashes or police warrants. 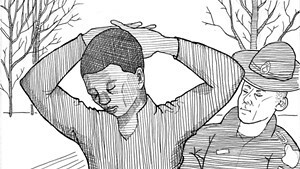 “You can’t conclude that there’s ... implicit bias. It’s more complicated than it looks,” said Jonas, who noted that state police have been collecting and studying traffic data since 2010, before it was legally required. Seguino, however, said that she did filter out non-discretionary stops. Even had some data from non-discretionary incidents been inadvertently included, Seguino said, it would not be enough to alter the conclusion that minorities were disproportionately targeted by state police and other law enforcement agencies. 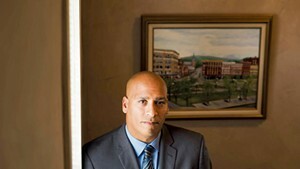 “The disparities are so large, my guess is they are not going to go away,” Seguino said. The study is a byproduct of a 2014 law that required police agencies to submit traffic stop and search data. Nonetheless, 20 municipal agencies either did not submit data, or submitted it in a format that was unusable, Seguino said.